The Savoy Theatre is commonly referred to as Cape Breton’s entertainment and cultural showplace. 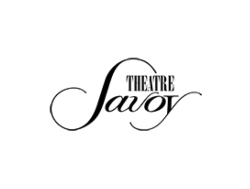 The Savoy Theatre offers a wide range of programs and services to a variety of audiences from all walks of life. In 2017, the Savoy Theatre entered its 90th year of providing cultural entertainment to Cape Breton Island. The Savoy Theatre plays an essential role in the local community, providing space and technical expertise for events as diverse as Remembrance Day ceremonies, debuts of young local artists, dinner theatre, dance recitals, book launches, weddings, funerals, community meetings and concerts by international artists. The majority of Savoy performers are local, however the Savoy also attracts national and international performers, which have included artists such as Blue Rodeo, k.d. Lang, Tommy Hunter, Leonard Cohen, Foster & Allen, Melissa Etheridge, The White Stripes and their very own artists such as our beloved Rita MacNeil, Bette MacDonald, The Rankin Family and The Barra MacNeils. Established in 1927, the Savoy Theatre opened as a live performance venue. Acts of every kind played at the Savoy until the mid-50’s when Famous Players Theatre turned it into a movie house. By the early 1970s the Savoy had fallen into a state of disrepair. The Town of Glace Bay refurbished the theatre and, in May of 1976, the Savoy reopened its doors as “Cape Breton’s Entertainment Show Place.” In 1996, a new addition to the Savoy was added, creating a revamped and modern box office area, a foyer and administrative offices. Following the vision of Executive Director, Pam Leader, the Savoy Theatre returned to its roots in 2013 with a major musical theatre production of Les Misérables. The return to theatre production at this level continued with Chicago, The Little Mermaid Jr. and Miracle on 34th Street. In 2015, the Savoy Theatre produced Into the Woods (May), The Cape Breton Summertime Revue – The Next Generation (August) and Peter Pan Jr. (September), The Sound of Music (November) followed by The Nutcracker Ballet Suite (December). In 2016, the Savoy presented The Wizard of Oz, The Cape Breton Summertime Revue and Annie as well as many original dinner theatre productions. The Savoy Theatre strives to continue to do more, show more and to grow and strengthen their wonderful community. The Savoy Theatre is a source of pride for many. The theatre’s ability to survive despite population decline and employment shortages mirrors the community and a collective determination to thrive. They are excited to be a vital part of community revitalization and they feel that this is going to be a very important year for the Savoy Theatre and their community as they celebrate 90 years while looking forward to many more.